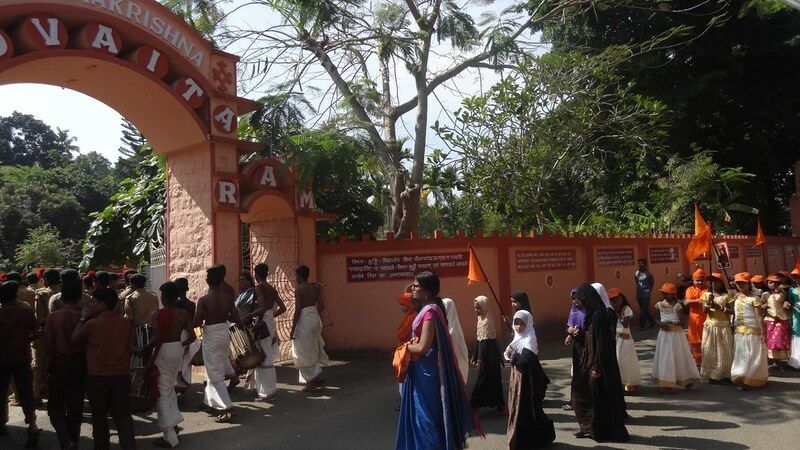 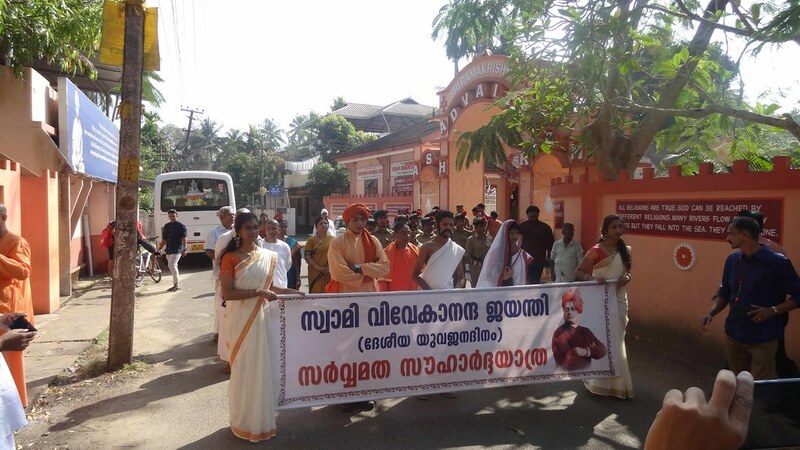 Ramakrishna Advaita Ashrama, Kalady celebrated the National Youth Day in a befitting manner. 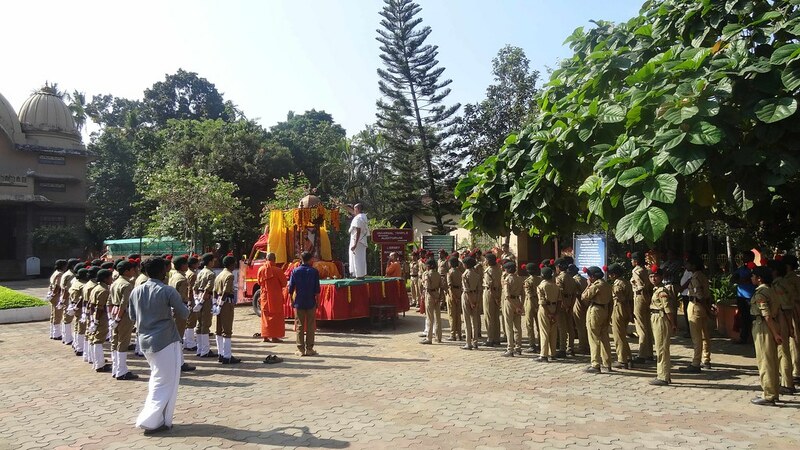 The students, teachers, staff and devotees assembled in front of the temple at the Ashrama. 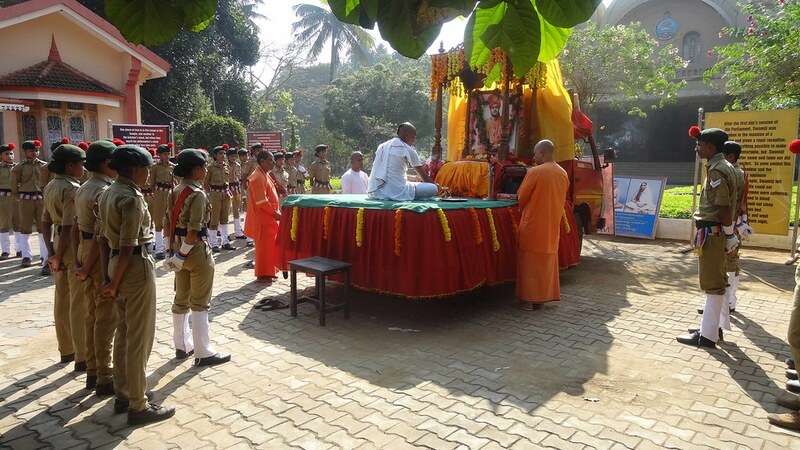 On the Chariot of Swami Vivekananda, Arati was performed which was followed by prayer and chanting of Rudraprashnah by the monks. 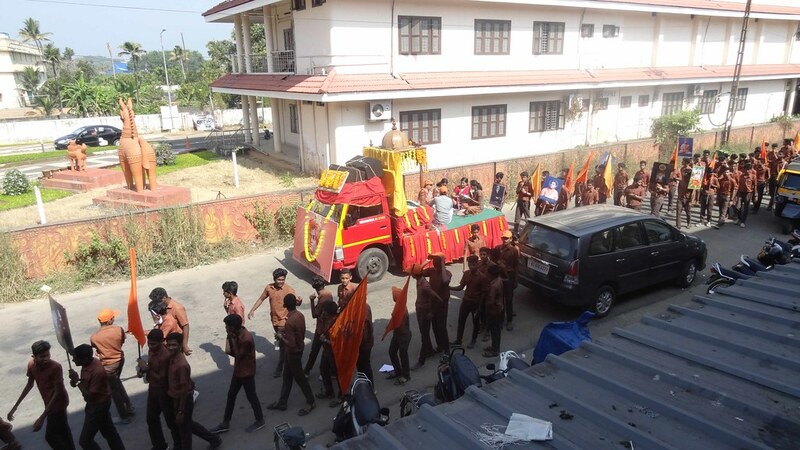 There was a pilot vehicle which carried out the announcements well before and also intimating the coming of the Swamiji’s Chariot and procession on the route. 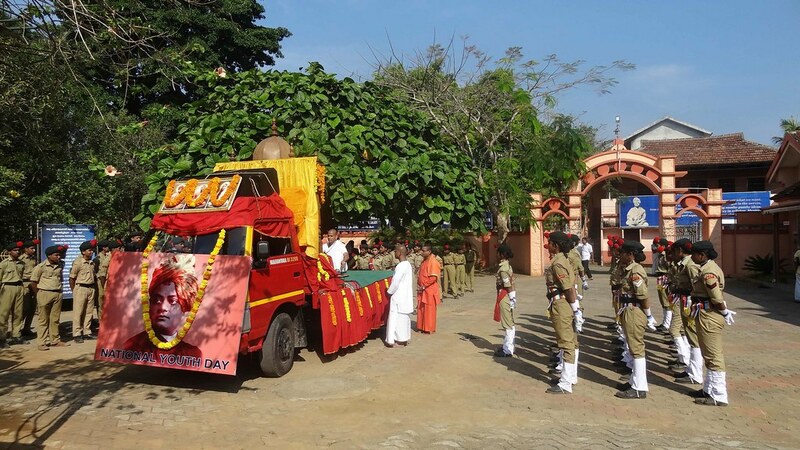 Inside the vehicle, students and teachers repeated the sayings of Swamiji in Malayalam and English on the sound system. 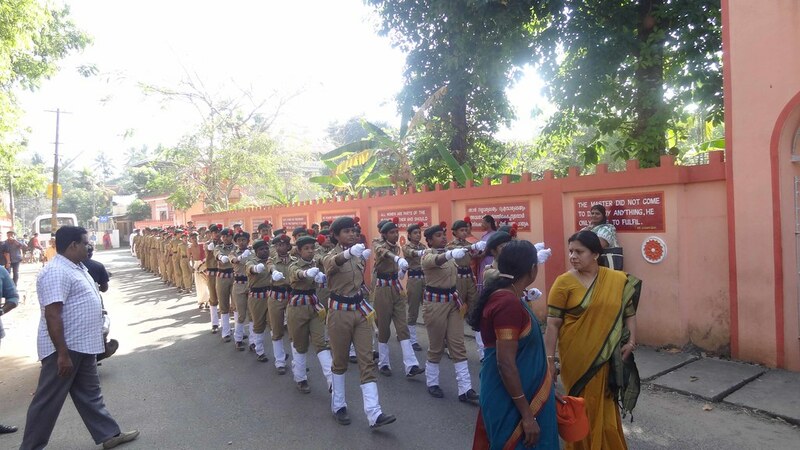 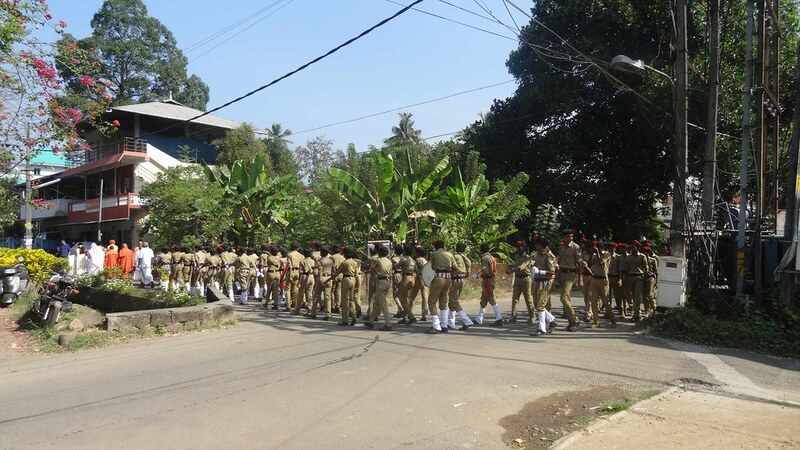 NCC cadets gave the guard of honour to the Chariot and followed the procession. 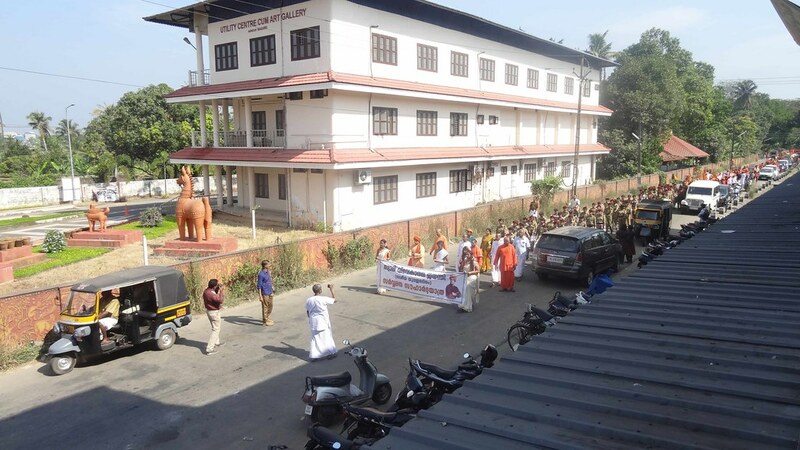 There was pancavadyam (with drums, horns and cymbals, a Kerala traditional music band performed by our students). 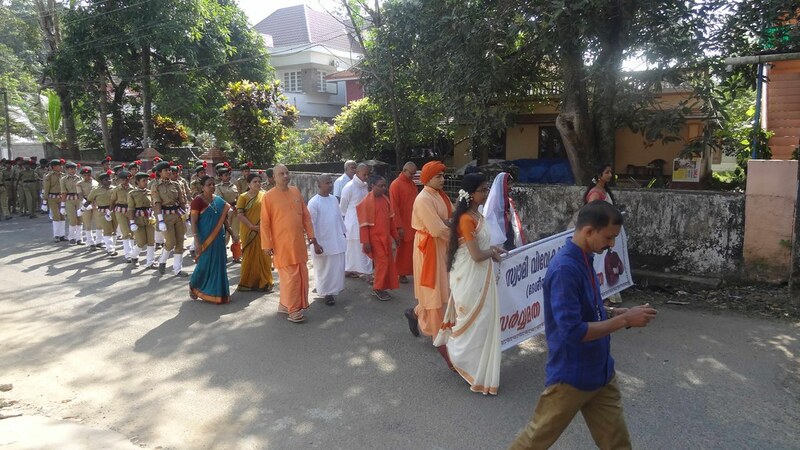 Students, teachers of our Brahmanandodayam School and local devotees participated in the procession. 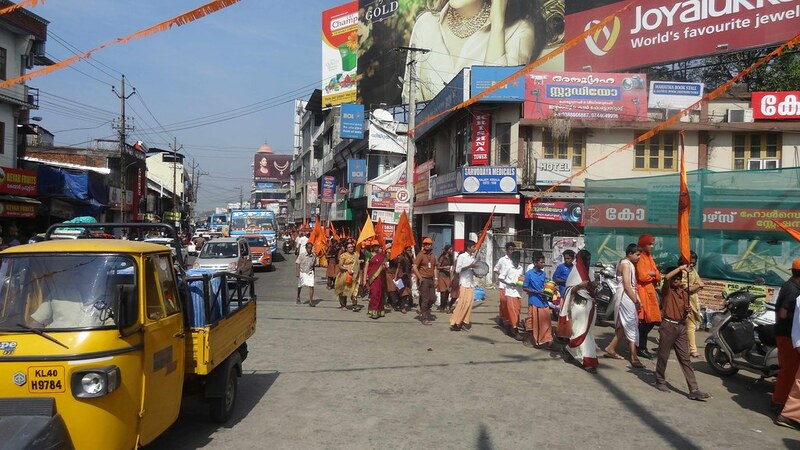 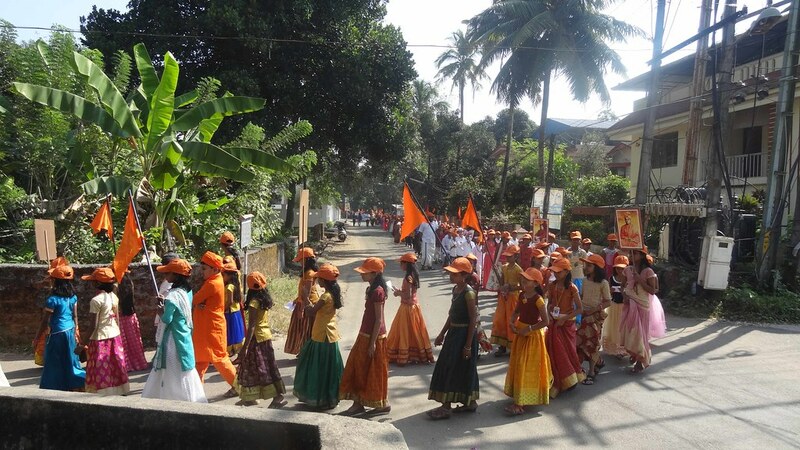 The procession went through the heart of the Kalady town covering about 2 Kms distance. 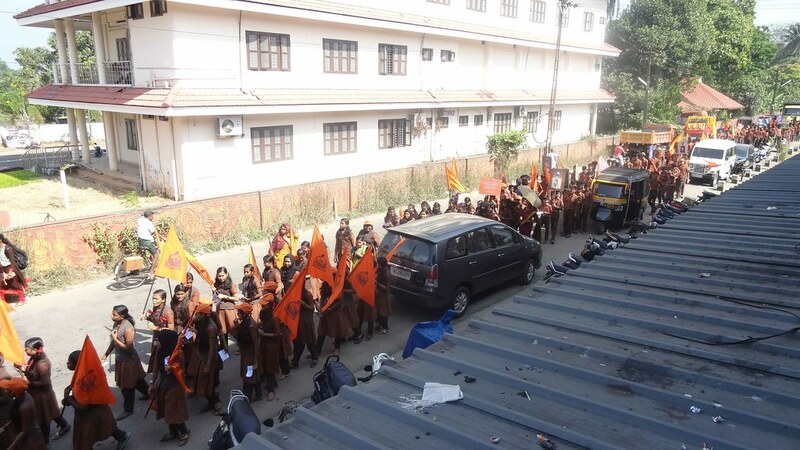 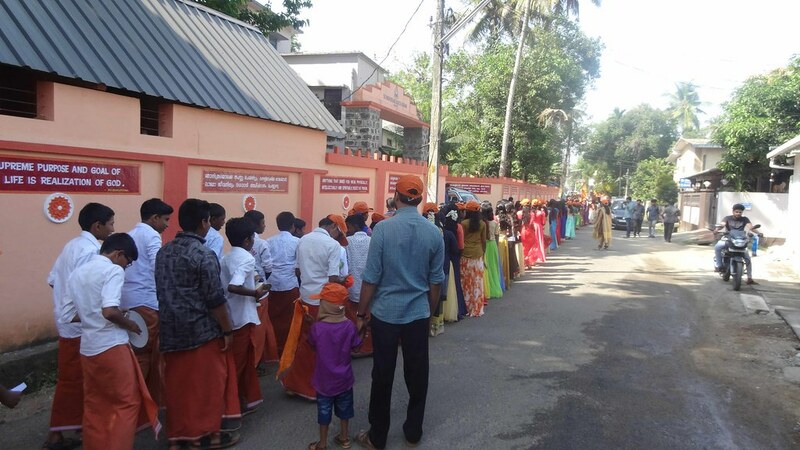 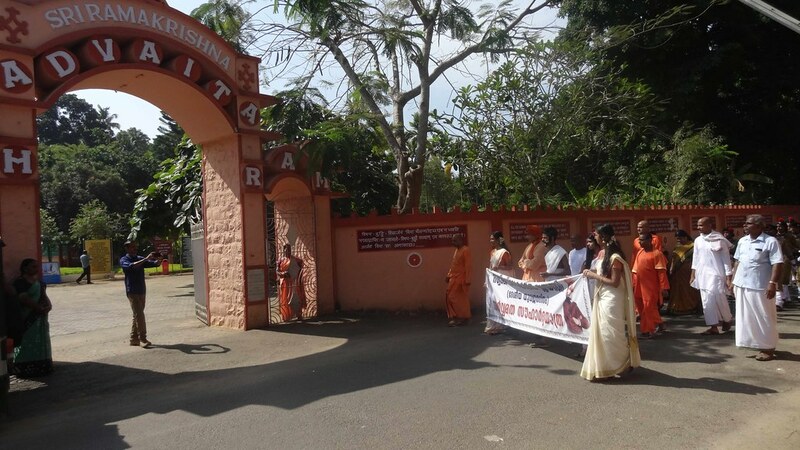 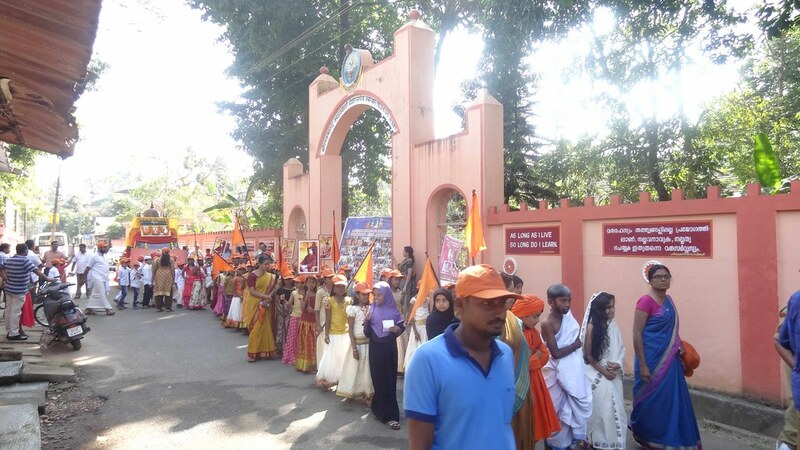 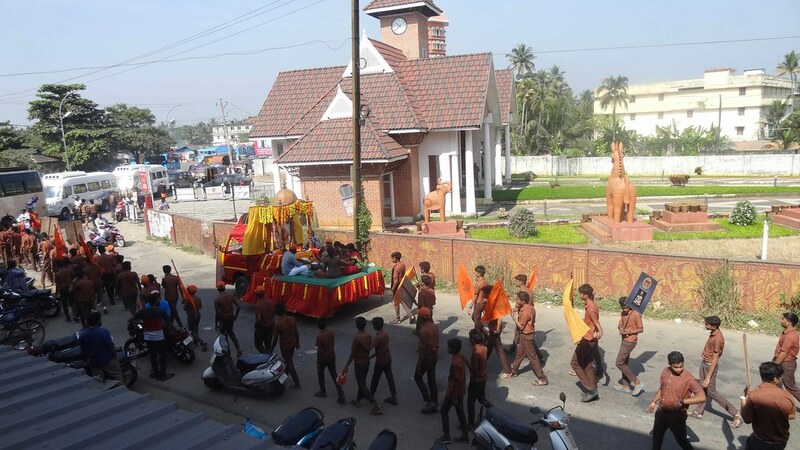 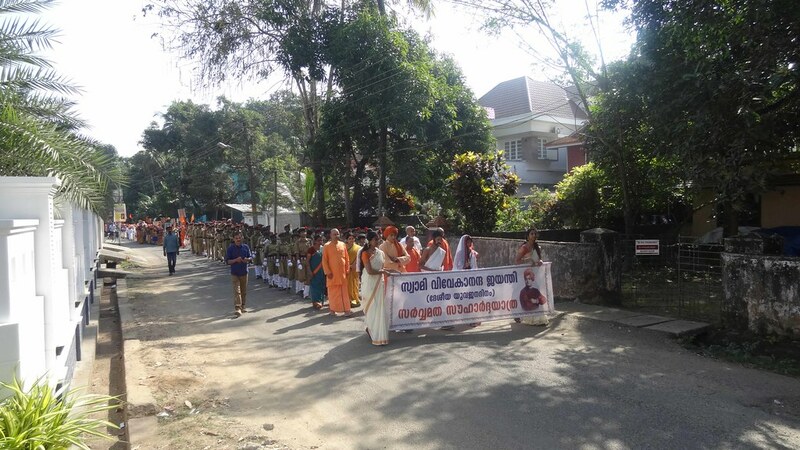 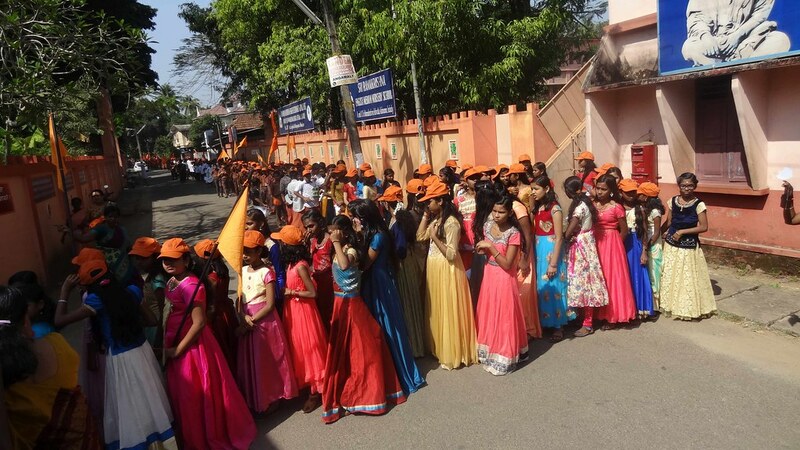 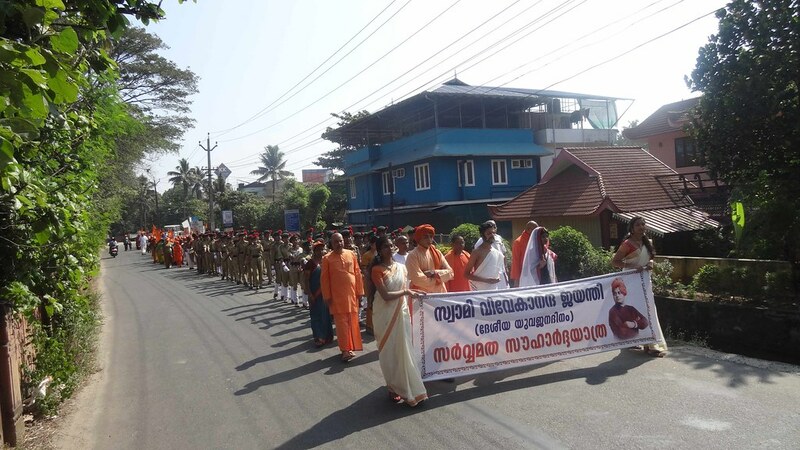 Higher secondary School students – Chanting of slogans & Jai to swamiji, announcing Swamiji sayings, dressed in Thakur, Maa, Swamiji costumes and led the procession with the banner. 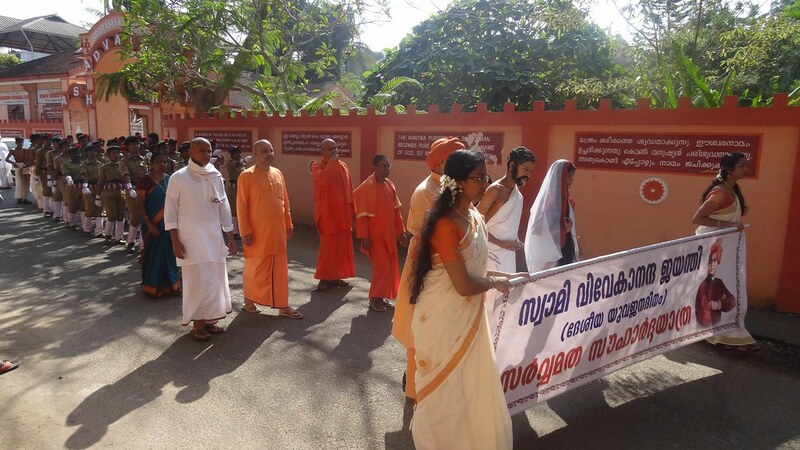 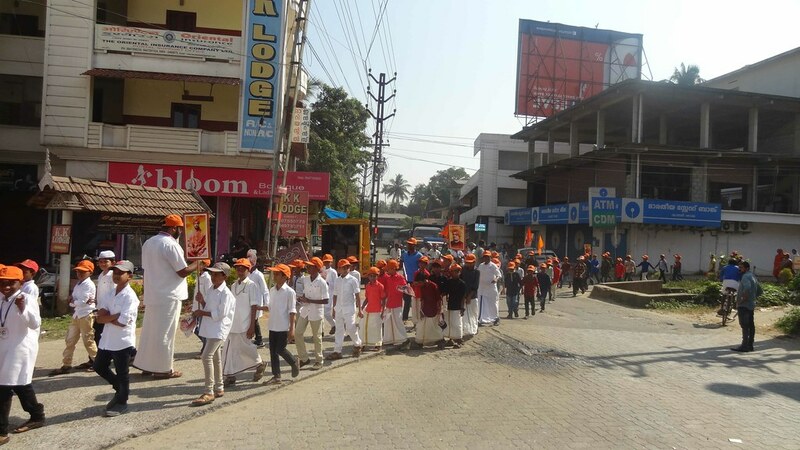 Upper and lower primary students – Bearing placards, flags, chanting of slogans and Jai to Swamiji. 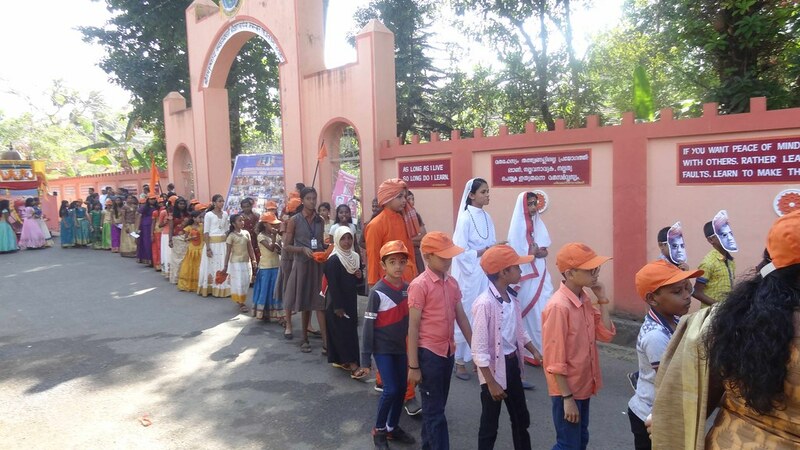 Children in Sri Ramakrishna, Holy Mother Sri Sarada Devi & Swamiji Costumes and Swamiji’s face mask. 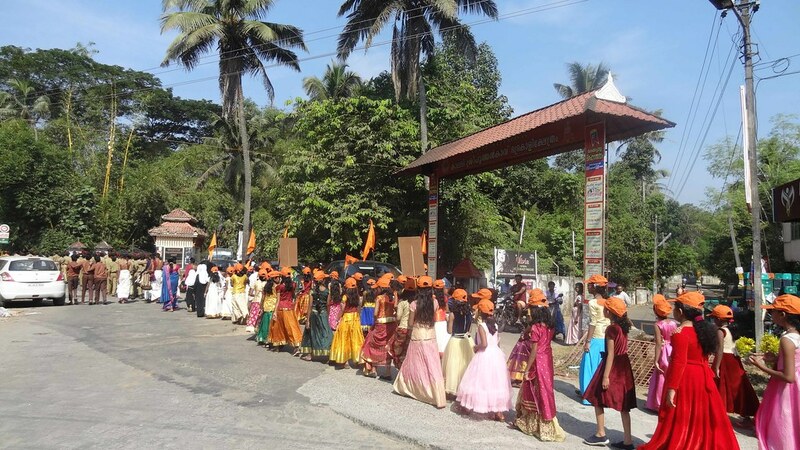 After the procession re-entered Ashrama refreshments were served to all. 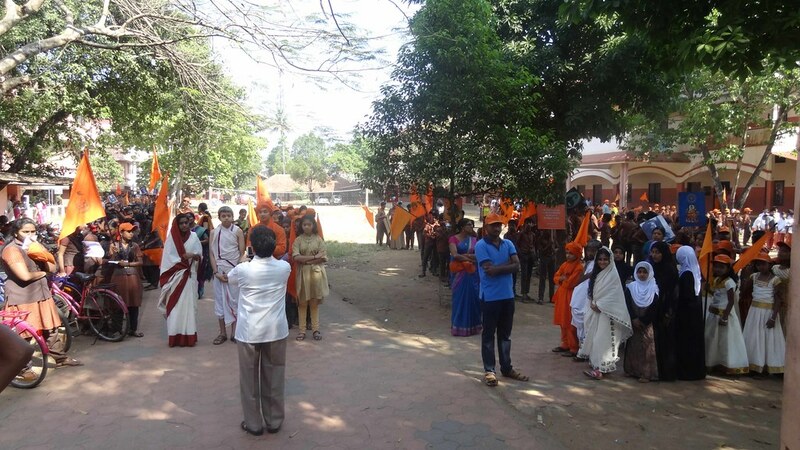 A copy of Vivekananda literature was given to all.